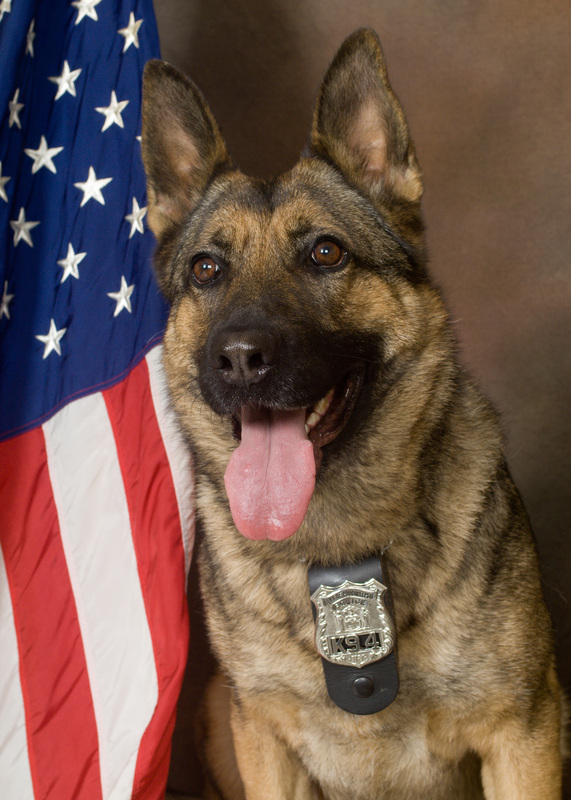 The Town of Poughkeepsie Police Department announces the retirement of K-9 Reagan, a 9 year-old German ShepardThe Town of Poughkeepsie Police Department announces the retirement of K-9 Reagan, a 9 year-old German Shepard, who spent her eight (8) year career with Police Officer Vanja Mikelic. Officer Mikelic and K-9 Reagan completed Basic Patrol School in November of 2007 and Narcotics Detection in March of 2008. In both 2009 and 2010, the team earned certification from the North American Police Work Dog Association and the National Narcotics Detector Dog Association in both patrol and narcotics detection. In 2011, they earned certification from the Eastern Police Canine Association (EPCA) in Patrol and Street Ready Patrol Dog and Patrol Narcotics Dog Level 1. K-9 Reagan was also one of five (5) dogs, over a 22 year period and over 200 teams competing, that earned the EPCA Tracking Title. This title is considered one of the most difficult tracking tests given anywhere in the world by any K-9 organization. In 2012, Officer Mikelic and K-9 Reagan earned the advanced titles of Certified Police Dog Level 1 and Patrol Narcotics Dog Level 2. Most recently in 2013, K-9 Reagan earned the most advanced patrol dog title in the country, EPCA’s certified Police Dog Level 2. Twenty-six K-9 teams in the Northeast vied for this level of certification and they were one of two teams that received the high standard for certification. With the retirement of K-9 Reagan, Officer Mikelic recently graduated Basic Patrol School with his new partner, K-9 Kyle, a Belgian Malinois. , who spent her eight (8) year career with Police Officer Vanja Mikelic. Officer Mikelic and K-9 Reagan completed Basic Patrol School in November of 2007 and Narcotics Detection in March of 2008. With the retirement of K-9 Reagan, Officer Mikelic recently graduated Basic Patrol School with his new partner, K-9 Kyle, a Belgian Malinois.